Time is a strange thing. The very concept of it will continue to mystify mankind as our understanding of it seems no clearer now than it ever has been. It’s something that’s quantifiable yet somehow intangible as the saying “time flies when you’re having fun” demonstrates. But if there’s anything I can be sure of in regards to time, it’s that there is a group of Brits who absolutely despise it – so much so that they’ve built cars deliberately designed to attack it. Rather unfortunately, after a trip halfway around the world and a very long car show combined with little sleep the night before, time was now attacking me. 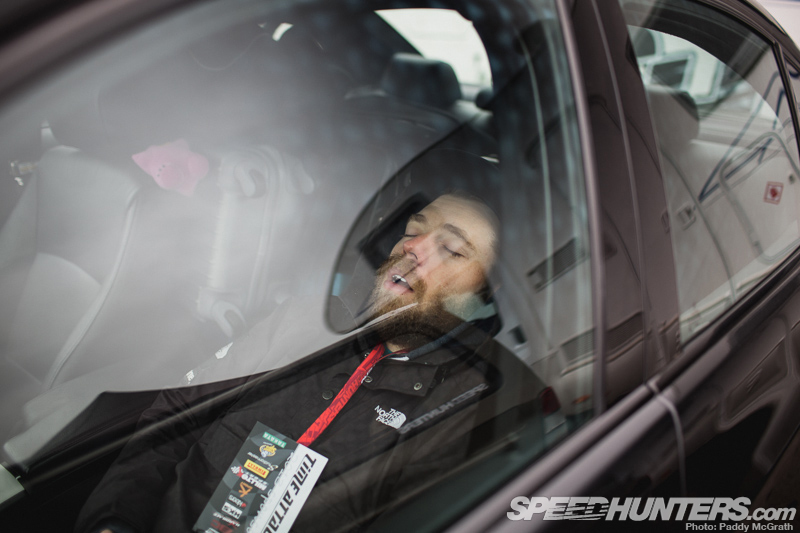 When we arrived at the circuit the jet lag was more than I could fight off so I gave in for a session of hot naps while the cars were still being unloaded at set up. When the engines started coming to life I woke up, wiped the sleep from my eyes, lensed my cameras and headed for the paddock. 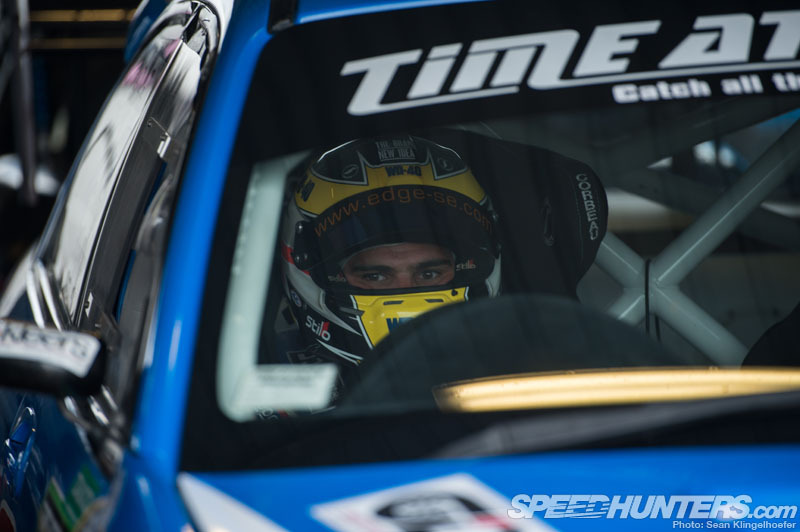 Unbeknownst to me, there was another series sharing track time at Modified Live with Time Attack called Civic Cup. As a Civic owner I was rather intrigued to see a whole section of paddock filled with EGs, EKs and EPs. 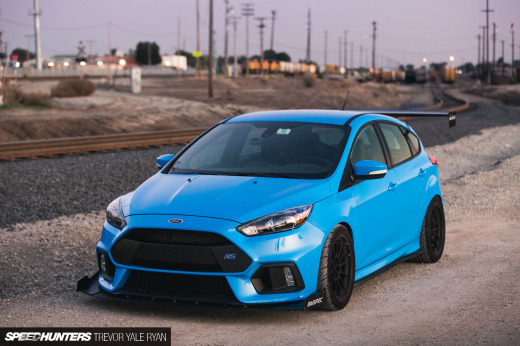 I investigated a little further and quickly realized that this is a spec series, similar to Honda Challenge in the states (or even closer to Spec Miata honestly) where the modifications are strictly limited to certain parts from approved manufacturers. The aim is to have very cheap and competitive racing. I later found out that if building a car yourself isn’t cheap enough, they offer an arrive-and-drive program which is in the ballpark of 300 additional pounds on top of normal entry fees. Had I known this even existed I would have seriously considered trying to get put into a car for the weekend! But I obviously wasn’t there to race in Civic Cup, no I was there to have a look at the time attack action. 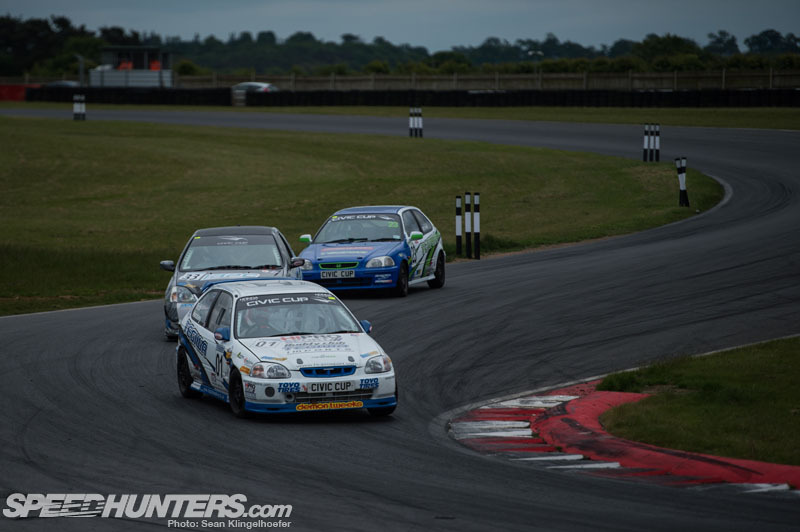 Funny enough, despite the aforementioned jet lag, Sunday’s transition from the Players Classic over to Modified Live at Snetterton was a welcomed journey to another dimension of car culture. 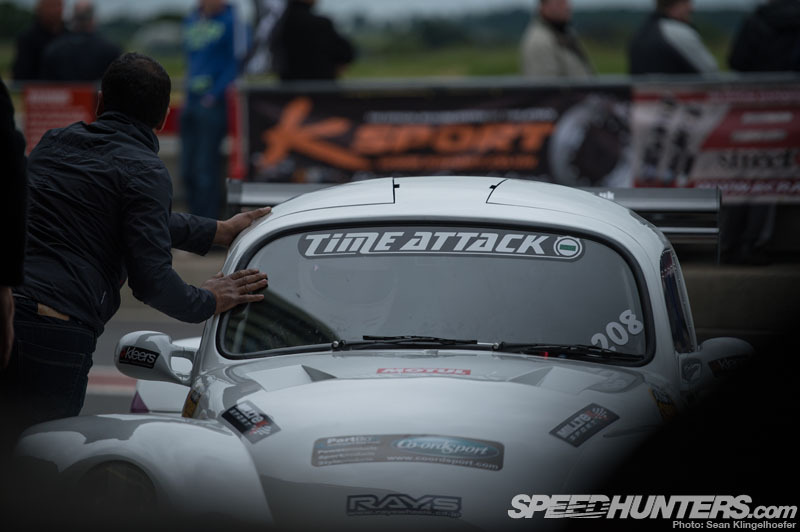 After all, time attack is something I know a little bit about first hand. 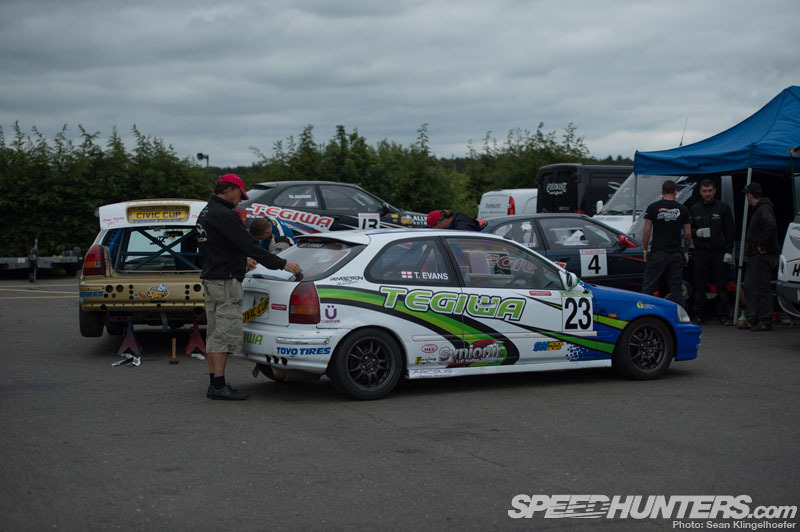 As a person with a background in Japanese cars and a decent recollection of the history of this form of motorsport, I was anxious to check out the UK scene and see how it compares to that of America and Japan. I’ve been following the major events since the early 2000s and have watched the scene begin and expand stateside and witnessed in the flesh how Japan’s finest do it as well. 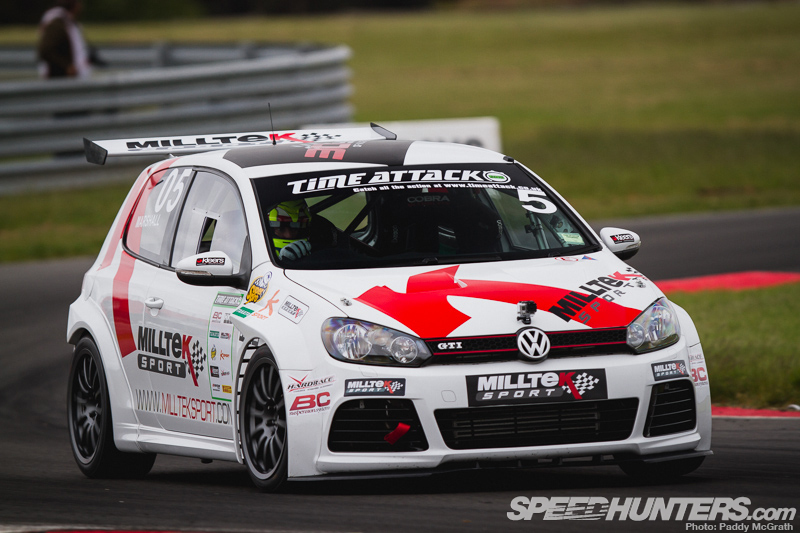 Similar to drifting, competitive time attack is obviously still a relatively new form of motorsport, one which has in recent years experienced global adaptation. It also shares a grassroots foundation with drifting, which is highly conducive to developing localized rule sets and modifications. With this in mind, I knew that the UK would probably have some interesting stuff lurking in the garages. What I wound up encountering was pretty impressive indeed. As an outsider I can only guess as to why the UK scene has evolved the way that it has, but there’s something fairly incredible happening here. While the community isn’t exactly huge, it was clear straight away that these guys aren’t messing around. It’s no secret that the UK has a massive love affair with motorsports of all variety and has a large share of the global motorsport market, as can be seen fairly easily when you look at how many Formula 1 teams are based there – not to mention the corporate offices of F1 itself. Therefore you have a society that takes motorsport serious both as a spectator sport and as a business, so with this in mind it’s pretty amazing that something so grassroots could take off here at all. However on the flip side of the coin, you could easily argue that motorsport is already ingrained in the DNA of British people so it would only make sense that they’d want to give racing a go for themselves. 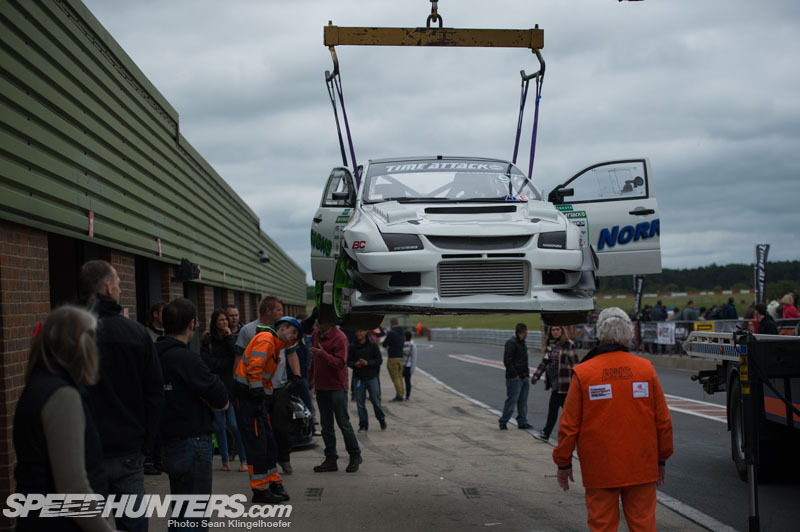 Regardless of whatever the case may be, UK Time Attack is definitely a different animal from what I’m used to. On the surface it’s somewhat familiar. You have three basic levels of competition, in this case Club Challenge being the entry-level category, Club Pro the intermediate category and Pro being the top of the heap and running on slicks. Cars are then broken down by driveline in the lower categories, but in Pro are simply placed into either 2WD or AWD classes. Pretty simple right? Strangely the cars though, are anything but. At pretty much every time attack event I’ve ever been to there is a pretty even spread of cars from lightly tuned cars that are nearly stock to fully blown world-record capable cars like the Cyber Evo or FXMD NSX. 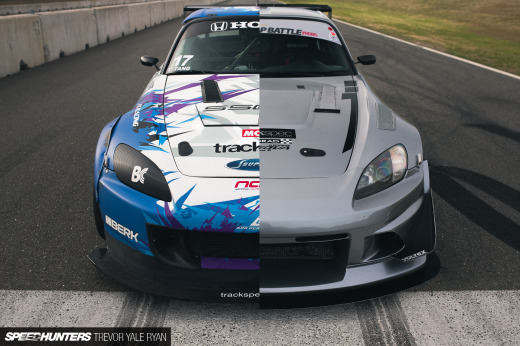 However in the UK time attack scene it seems like 80 percent or more of the cars belong to the higher end of the spectrum. Pretty much every car has a cage, and a digital dash. 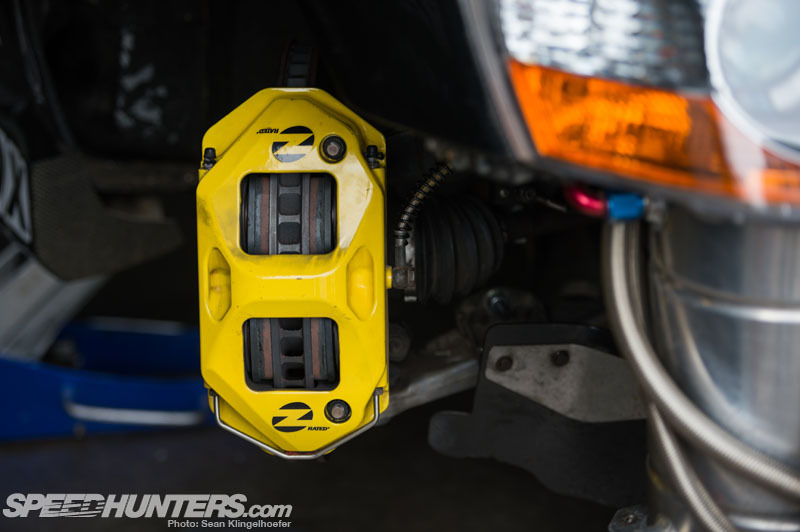 Massive brake kits, huge power adders and intricate aero work are all the norm. Take for example this super clean GTI from Milltek which was certainly on the simpler end of the spectrum for the weekend and you’ll quickly see what I’m on about. 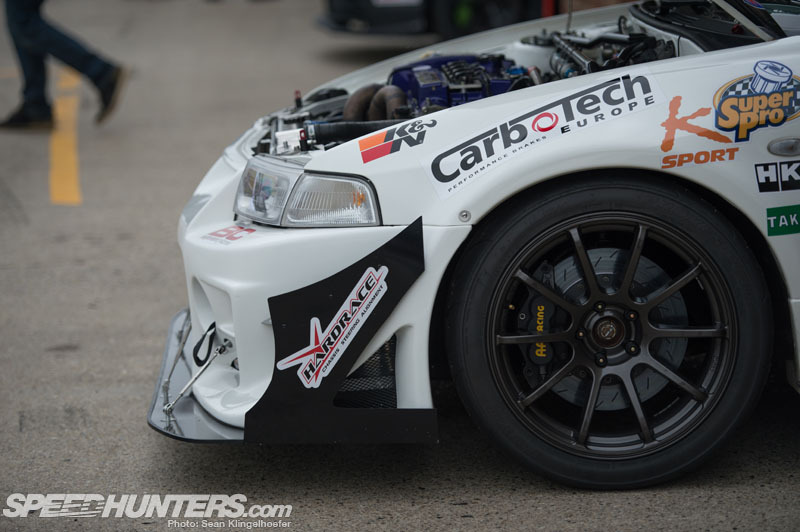 Although it is a Club Pro car, it was one of the least-heavily modified cars I saw, which speaks volumes to how serious time attack has become across the pond. I’m really hoping to see a feature on this car in coming weeks. So then, if that completely insane Mk6 was at the modest end of the spectrum, what could possibly be at the sharper end of the time sheets? How about a full-blown Group B rally car? Of all the things I could have imagined running into, a rear-engine V6 MG Metro 6R4 was certainly not on the list. 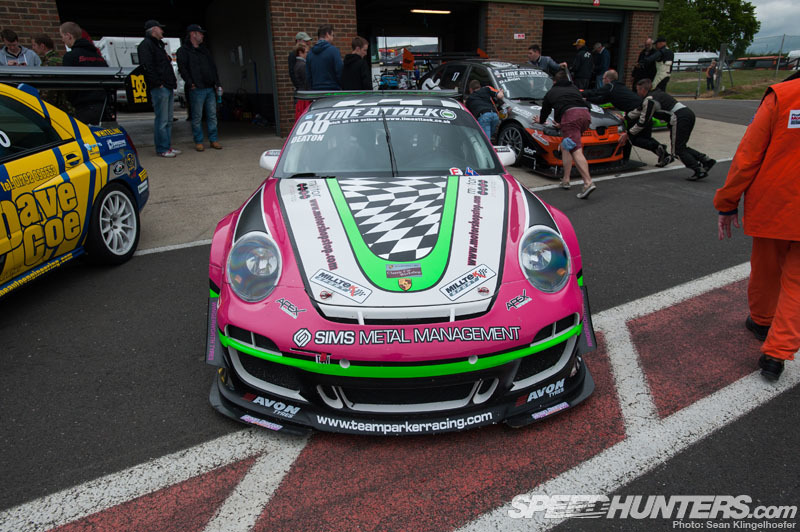 While a car like this wouldn’t be allowed to compete, or at least frowned upon heavily, in most time attack series, here in the UK it’s essentially become a no-holds-barred affair. 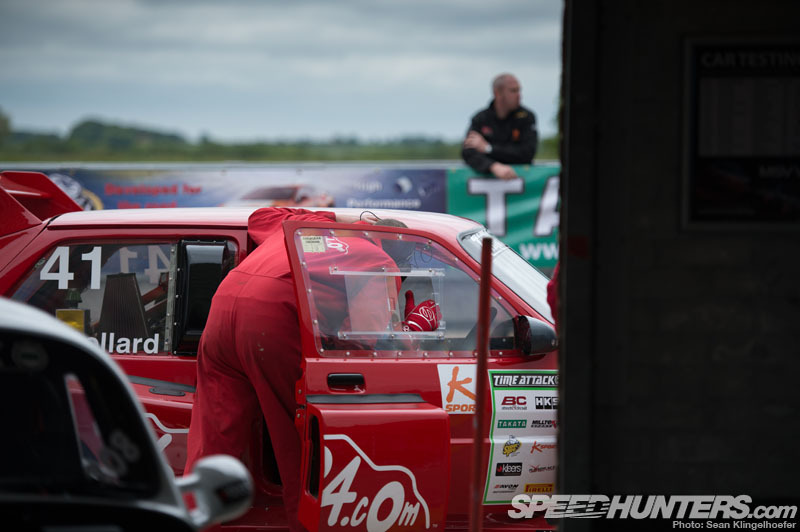 Although the high-speed layout of Snetterton wasn’t particularly kind to this lower-powered and high-drag vehicle, the Metro was still able to clock the ninth fastest time of the day in the Pro category. It’s often been pointed out that true racing cars are nearly as fast time attack builds while being restricted by tight rule books, but they’re also considerably more reliable and capable of running hours on end rather than one or two hot laps at a time. However most series won’t allow such vehicles to participate since it arguably goes against the spirit of the event, but in the UK you can basically run-what-ya-brung. It should come as no surprise then that one guy got the smart idea of buying himself a factory Porsche 911 GT3 R and decided to go time attacking without all the typical headaches. From what I can tell the car is being run essentially out-of-the-box to a seventh place finish. Not bad for a restricted race car. The other option is to follow the Gatebil approach and just build your own mental race car to suit your needs. While Japanese and American rules strictly prohibit modifications between the shock towers, it seems that the UK and Australia are pioneering completely bespoke builds like Nemo. This ‘Beetle’ is unquestionably one of the most incredible machines I’ve come across. With it’s fully custom design, in-board suspension, massive wide body, one-piece front end and circa-800hp Subaru power plant, it reminded me a lot of a certain Mini that Dino shot in Norway last year. While I’m not sure if any of the car is actually authentic Beetle, I can tell you it’s 100 percent badass. You can be assure a feature of this car will be coming to the site shortly. 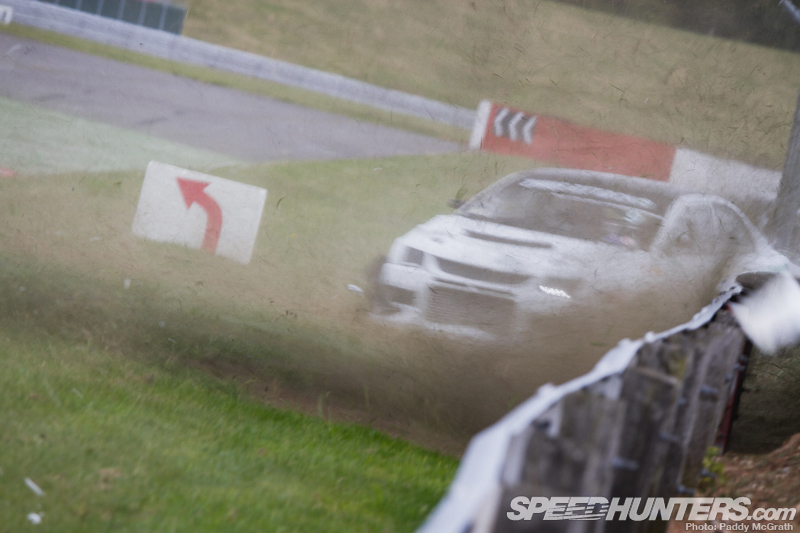 But really, aside from the occasional oddball build, UK Time Attack is actually quite similar to the rest of the world in one regard – it’s completely dominated by the Mitsubishi Evo. On paper, the Evo is anything but a sports car. It has four doors, a small four-cylinder engine and it isn’t RWD. But out on the track they have proven repeatedly to be some of the fastest cars on earth. Pretty much everywhere I looked I saw a very heavily modified Evo. It was interesting to see American names like AMS and Full Race bolted to so many of the cars, but I suppose you can’t argue with proven performance. It doesn’t even feel right saying this, but what you’re looking at was one of the milder engine bays. I stopped to take a picture because there is a custom heat-exchanger built for the dry sump. It’s essentially a hollow tube that bypasses coolant from the radiator down one orifice whilst oil runs through another parallel to it. This pre-heats cold oil before going into the engine to get it up to temperature faster and doubles as a cooling mechanism once the car is out on track. Pretty clever. Making big power is somewhat old hat I’m told amongst the UK lot. These days most team’s time and energy is spent on the black magic we know as aerodynamics. 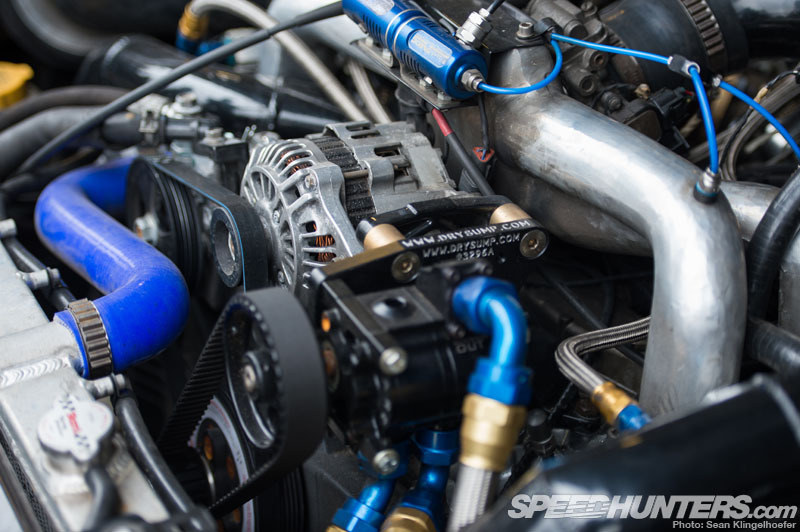 The inventive solutions required by the relatively low budgets of time attack often breed some of the most ingenious home-brewed solutions. Take for example the new rear wing on the SVA Imports Evo. As far as I’m aware this may very well be the first active DRS system ever applied to a time attack car. Thanks in part to a reduction in drag along Snetterton’s two lengthy straits, the car was able to clock the fifth quickest Pro time. Meanwhile there are other teams taking a slightly more scientific approach. I’m told for example that this Impreza has spent time in the Red Bull F1 wind tunnel during off-hours. That attention to detail, along with some serious skill behind the wheel, netted the second fastest time of the event and only missing out on the top step of the podium by less than a second. Unfortunately not all of the cars have their aerodynamics package quite as sorted, as Simon Norris discovered first hand in a terrifying manner. Running down the back straight at nearly 170mph (275kph) the rear wing decided to sheer off its uprights, resulting in a very light back end causing a very unstable braking scenario. The rest, as they say, is history. Fortunately Simon (and Paddy standing just meters away) both walked away from the incident. Sadly the same couldn’t be said for the left rear of the bespoke two-door Evo-based creation (which features a shortened wheelbase, longitudinally-mounted engine and Skyline-derived driveline), or its corresponding wheel. Understandably, when the car was unloaded in the paddock it caused quite a stir. The car is also sporting some rather unconventional aero in the form of the often-hated front wing. I’ve been told that Racecar Engineering will soon be running this particular car through a proper wind tunnel to see just how much downforce it’s generating, but until then we’ll have to rely simply on lap times. Given that the setup was good enough to take home first place in the Pro category with a time of 1:12.76 I’d guess it’s working pretty damn well.